How To Restrict Background Data In Windows 10: Windows 10 consumes a lot of data in the background because of windows updates, live tiles, apps update etc. Also, Windows 10 designed for unlimited internet data and Windows 10 has a lot of Hidden features. If you have an internet connection with limited data, don’t worry, Microsoft provides an option to restrict background data. You can turn off background data of WiFi Connection and Ethernet connection in Windows 10. If you want to save your data, then you need to Set your WiFi or Ethernet connection as Metered Connection. When Microsoft launches the Windows 10, there was no such option available to limit Ethernet data usage. Because Windows 10 only allows WiFi connection to set as a metered connection at that time. Now in Windows 10 Creators Update, You can Set Ethernet connection as metered connection. If you have a previous version of the Windows 10, then you can set ethernet connection as metered with Registry editor. This also helps to disable Windows 10 updates. Why do you need to turn off background data in windows 10? If your Internet service provider limits the data, you should set the connection as metered. Also if your connection is slow to use this to turn off background data. If your internet connection is slow: If your internet speed is slow, and this option prevents the background data consumption. To disable Windows updates: If you want to turn off windows updates, then, set the connection as metered. If you use mobile data: If you are using a mobile data on your PC laptop with WiFi hotspot, and your data is limited, then you need to use this option. To disable Windows Store apps updates: If you set the connection as metered then windows store apps are not updated automatically. Live Tiles: Live Tiles also consumes data. Live tiles won’t update if the connection is metered. Turn Off Background data Of WiFi connection (If you are using WiFi on your PC/Laptop). Turn Off Background Data Of Ethernet Connection (If you are Ethernet/Wired connection on your PC/Laptop). So, below are the steps to set WiFi connection as metered connection. These steps are in Windows 10 Anniversary update and later. In the previous version, These steps are some different. You can read those steps in F.A.Q. Go to Settings by pressing Windows Key + I.
Click on WiFi and Click on Manage known networks. (You can Click directly on the connected connection to set the connection as metered). Click on your network and Select Properties. Turn On Set as metered connection. Question: Options are different on My PC. Answer: These options are from Windows 10 Anniversary update and Creator Update. If you have the previous version of Windows 10, then Go to Start > Settings > Network & Internet > WiFi > Advanced Options. So, In Windows 10 Creator Update, you can also set an Ethernet connection as a metered connection to turn off background data. In the previous versions of the Windows 10, you need to set Ethernet connection as metered with the registry editor. But now it is easy to do this. Open Settings from start menu or by pressing Windows Key + I. After that, Open Network & Internet. Click on Ethernet from the left side of the screen. After that, Click on the Ethernet connection. Turn on the option Set as metered connection. First of all open Regedit. To open Regedit, Open Run command by pressing Windows key + R and type Regedit.exe in Run command. Navigate to HKEY_LOCAL_MACHINE > SOFTWARE > Microsoft > Windows NT > CurrentVersion > NetworkList > DefaultMediaCost. Double Click on Ethernet and write 2 in Value Data and click on OK.
Now your background data is disabled on Ethernet connection. Note: In Value data, write 1 for unmetered connection and write 2 for metered connection. You can change these values anytime. Problem while changing the value? If you can not change the value of registry key, then here’s HOW TO CHANGE REGISTRY KEYS IN WINDOWS 10. So, Guys, this How to turn off background data in Windows 10. 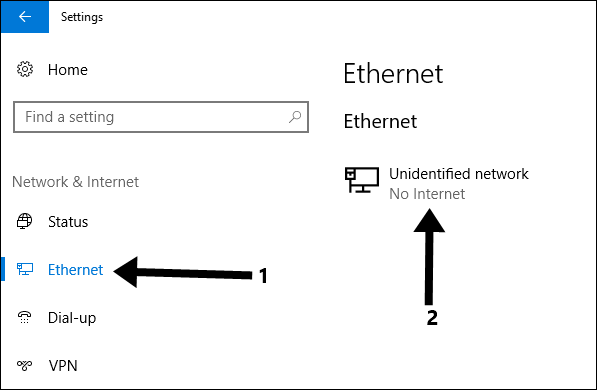 Now you can set Ethernet metered connection in the new version of Windows 10. These options also prevent the Automatic updates of Windows 10. If you have limited data connection, then you can use these options to save your data. Disable Antivirus and unplug Ethernet cable. Try again. Same with me too…it says can’t change the value. for modem connection what to do????? Thanks for the information. The thing, though, is that I’ve already registered my hotspot as a metred connection, and still huge amounts of data are being consumed. I’ve already added 5GB to my monthly plan of 4, and now even that is almost finished. It’s clear that a lot of data is still being gobbled up in the background without my consent—before, I used an Android tablet, and this sort of thing did NOT happen. Check your data usage from Settings > Network & Internet > Data Usage > Usage Detail. And see which app or software consumes more data. Also, connect your device to WiFi and track the live data usage from Task manager. Open task manager (Ctrl + Shift + ESC) and click on More detail and click on the Network to see live data usage bandwidth. very helpful bro… this site is awesome. What if we are connected via VPN ? Does this data limit can be enabled ? Please my usage details says my system consumes more data, please what do I do to stop my system from consuming much data. Very useful. Thank you very much. Now I can save my data usage. Help! This stupid Windows 10 update keeps failing. Burns up all my data. Cost $100 dollars already! I uninstall the update but it keeps coming back to burn up more! I can hardly get on the net. I keep losing my connection. It’s a Windows 10 update virus! I am so pissed off! Windows Microsoft should pay for this! Dude you saved my day like a hero! thank you very much, jazakallah khair(may ALLAH bless you with goodness ).